Sharks are at the top of the food chain in virtually every part of every ocean, and in this role they keep populations of other fish healthy and thus prevent them over-feeding. They are a “keystone” species, meaning that removing them would causes the whole food chain structure to collapse. Sharks have survived for 450 million years, but may be gone within the next decades. Keeping marine ecosystems healthy is not optional! Due to overfishing, commercial fleets are forced to go deeper in the ocean and further down the food chain for viable catches. As such, like their terrestrial counterparts, the mass extinctions of fish, marine mammals and other aquatic life could occur within decades. A top-order predator with a menacing appearance that belies its calm nature, the grey nurse shark’s east coast Australian population is struggling to survive, with only an estimated 500 left. Eating almost any kind of fish, crustacean, sharks, rays and squid, this predator is key in maintaining a balance in the marine ecosystem along the Australian coastline. While hunting this shark was legal in 19th century, poaching the fish has been common throughout the 1900s. 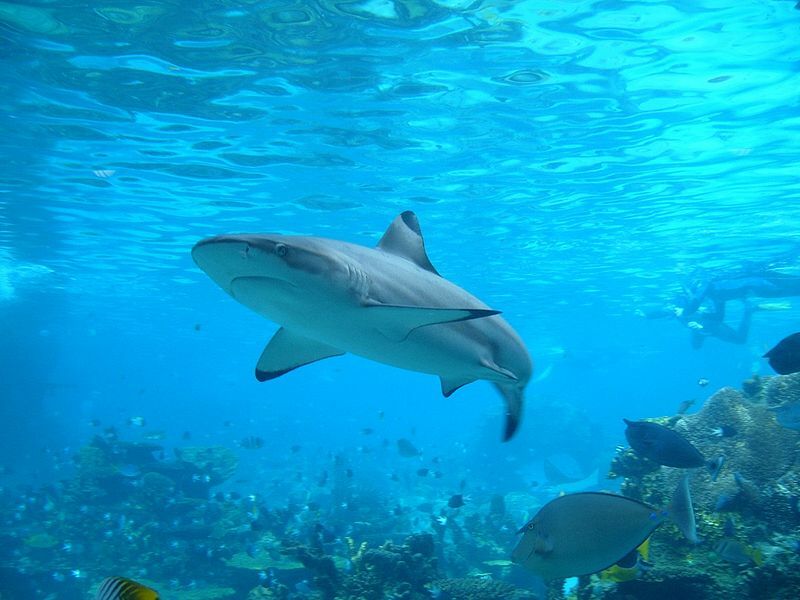 Overfishing and depleted fish stocks could be the reason sharks are seen around shores. Sharks are already heavily threatened by over-fishing, and they are important apex predators that help in the health of our oceans. Sharks belong in the ocean, and it’s their home. They are necessary in maintaining healthy marine ecosystems. We can’t drain the oceans, and kill more endangered wildlife. It’s time to get things more in perspective and realise that there are risks to everything we do. “Culling” sharks, and the death of other non-target species that will be hooked, can’t guarantee safety on the beaches. In fact the Western Australia shark kill program could dangerously create a false sense of security, leading to more fatalities. It’s a case of those entering the ocean need to be aware of apex predators, and take precautions. The ocean is a dangerous place, and more people drown each year than are taken by sharks. Surf Life Saving South Australia suggests that there is a “much higher risk of drowning at the beach.. than from being bitten or killed by a shark”. A NSW university study found that, on average, 21 people drown in rips around Australia each year, compared with eight killed in cyclones and six in bushfires. When shark culling was carried out in Hawaii between 1959 and 1976, more than 4500 were killed. Control programs have not had measurable effects on the rate of shark attacks there. Western Australia’s cull is based on pressure to ”do” something for human safety, however ineffective. Those entering into the sphere of apex predators should take full precautions, but this killing plan could give false assurances of safety. Sharks do not deliberately target people! It’s an anthropomorphic and paranoiac reaction to imagine they are out to find human prey, or make any conscious efforts to track humans. If a shark sees a human splashing in the water, it may try to investigate, leading to an accidental attack. There has been 20 fatal shark attacks in WA in the past 100 years – seven of them in the past three years. WA has experienced a massive population growth in recent years, with almost two-thirds of the state’s total growth coming from migration. Rather than more misanthropic sharks, there’s more people are in the water! The best way to avoid lethal shark attacks is to take appropriate precautions. Entering the territory of apex predators should naturally include precautionary tactics, not the cull of the animals that are an important part of marine ecosystems. A report titled “Global catches, exploitation rates, and rebuilding options for sharks” finds that based on an estimated total global biomass, this accounts for between 6.4% and 7.9% of all sharks killed per year – most simply for their fins, while the rest of the animal is dumped in the sea. The Convention on the Conservation of Migratory Species of Wild Animals gave new protection status to 31 migratory species at a conference in November. However, Australia is submitting a “reservation” to ensure a recent international listing granting protection status to three species of thresher shark and two species of hammerhead does not take effect in Australian waters. Humane Society International has described the move as an “unprecedented act of domestic and international environmental vandalism”. Yet, our Abbott government is willing to be the environmental pariah of the world, with heavy axing of funding to science and research, a denial of action on climate change, and now is backing away from its international obligations by opting out of protecting five shark species! Environment Minister Greg Hunt is myopically more concerned about the economic welfare of recreational fishers? This “environmental vandalism” shows a complete lack of vision, and scope, in government policy-making! In Mr Baird’s first election policy commitment, he said $100,000 would be spent on a technology trial at popular beaches. Surf life saving clubs will also be given specialist training and shark deterrent equipment. “One thing we will not be doing in NSW is culling sharks,” said Mr Baird. The presence of many species of shark as ‘apex predators’ – occupying the top level of the food chain – is an indication of a healthy marine environment. The Environmental Protection Authority recommended against the WA government implementing its shark kill zones for the next three summers and Premier Colin Barnett ruled out using drum lines this coming summer.